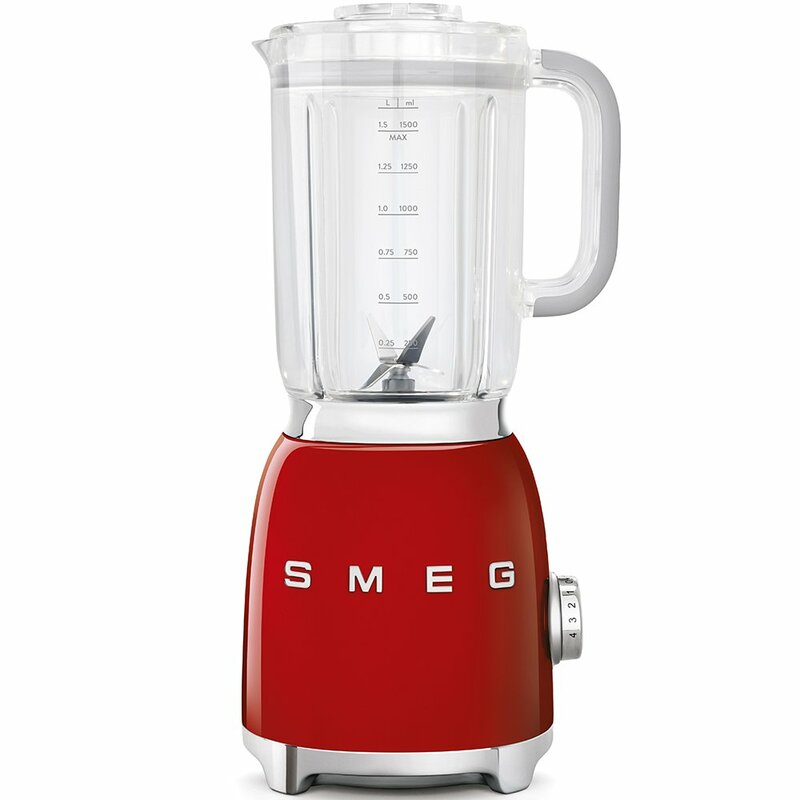 Smeg BLF01RDUK 50's Retro Style Blender is rated 5.0 out of 5 by 1. 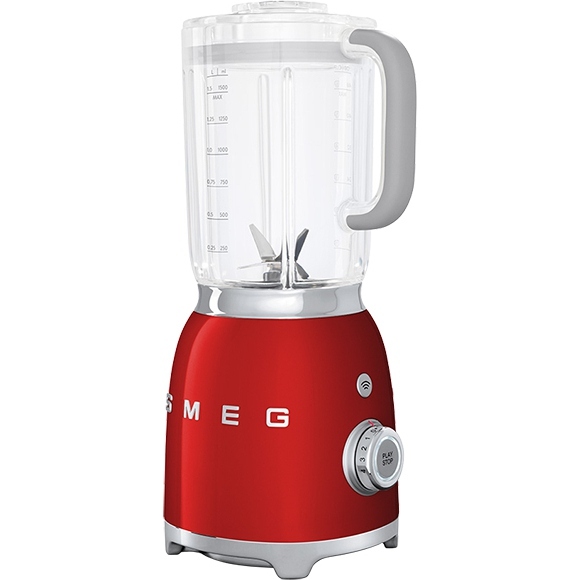 The compact, but powerful Smeg BLF01RDUK 50's Retro Style Blender looks great in the bold, ruby red colour scheme to match its impressive 4-speed motor settings. 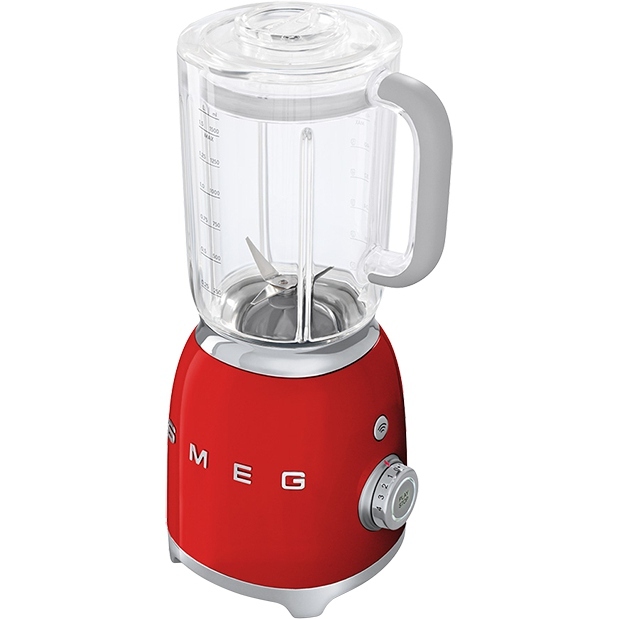 With its 1.5 litre jug capacity, there's enough space to concoct healthy smoothies, elaborate cocktails or tasty soups. 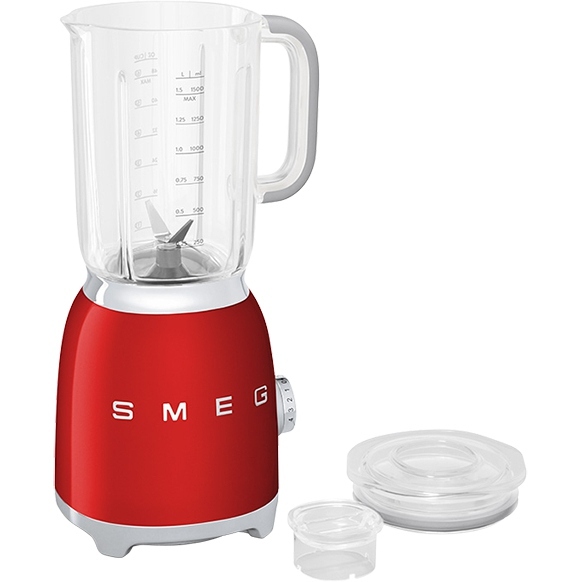 The efficient 800w motor has various speed settings to ensure that no matter if it's fruit or vegetables, this Smeg Retro Blender is up to the task. 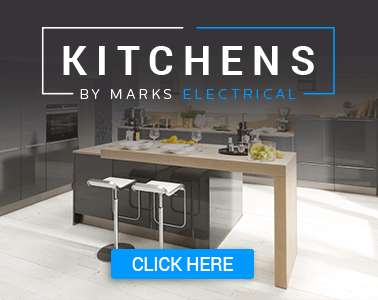 The main part of the Smeg BLF01RDUK is made of die-cast aluminium so it's built to last, while the jug, made of tritan plastic, provides better heat resistance and the ability to withstand stronger impacts. An additional stainless steel double-blade attachment is provided that's specifically for crushing ice with speed and efficiency - fantastic if you want instant crushed ice for your water or for something more exotic. 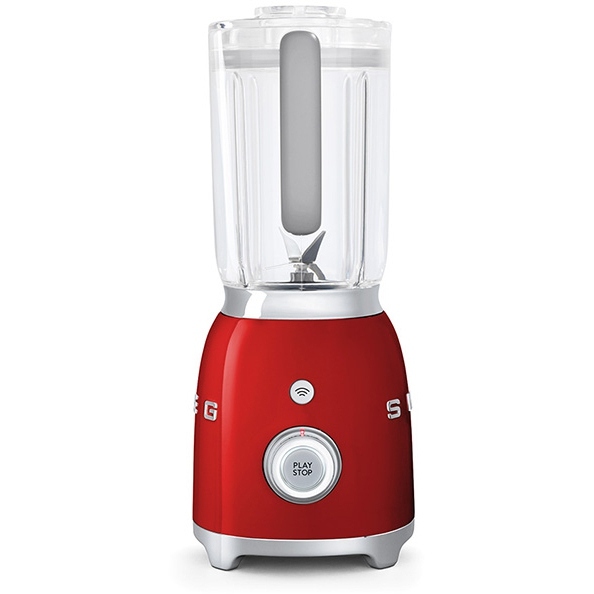 For a food processor that is an all-star performer, and has appealing 1950's design and styling - the Smeg BLF01RDUK 50's Retro Style Blender is an excellent choice. Rated 5 out of 5 by Jannnnney from Fabulous machine Looks good and works very well. Expensive but worth the money. Especially pleased with the non breakable glass jug.